Scammers make unsolicited calls or send phony emails. One of the most common IRS schemes is when thieves call or message taxpayers claiming to be IRS officials. Some scammers even have the ability to spoof your caller ID system. 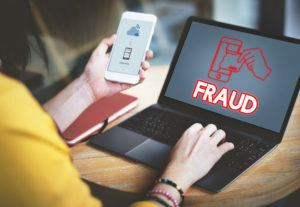 They will demand immediate payment and use threatening language to attempt to scare their victims into paying immediately either by sending cash or a prepaid debit card. More recently, these scammers have been using gift cards as a method of payment. Digital hackers mine your personal information. Criminals in phishing schemes pose as a representative of a reputable organization and send fake e-mails or create fake websites looking to steal personal information, such as passwords and social security numbers. they may hack an e-mail account and send mass e-mails under another person’s name, or pose as a bank, credit card company, tax software provider or government agency. Call you to demand immediate payment. If you owe, you will first receive a bill in the mail. Require that you pay a certain way, such as with a gift card or prepaid debit card. Ask for your credit or debit card numbers over the phone or by email.